Now that cars rely so much on electrical and electronic wizardry, it’s not surprising that electrical faults account for 27% of all car failures, up by about 17% on five years ago*. 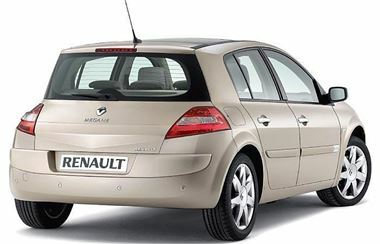 While the 2002 - 2008 Renault Megane is not necessarily known for its gadgetry, this French hatchback’s electrical gremlins contribute to an overall failure rate of 50 per cent, with the Peugeot 607 and BMW’s sporty Z4 close behind as the next most likely cars to ‘short circuit’. BMW’s previous model Z4 soft top is third, followed by another Renault and a brace of Audis and Land Rovers. The quirky Smart Roadster and A4 Convertible complete the rundown with around a quarter incurring problems with their electrics. *In 2006 electrical faults made up 23% of claims, the latest data shows this to have risen to 27% (a 17.4% increase). Launched in 1997, Warranty Direct www.warrantydirect.co.uk was the first direct consumer Warranty Company to operate in the UK. It was the first to offer cover against failures caused by ‘wear & tear’ and pioneered warranty cover against faults found during MOT and service procedures. It has also spearheaded several major motoring campaigns, most notably regarding the state of the UK’s potholed roads and the cost of the hourly labour rate for workshop mechanics. It is owned by Cardif Pinnacle, a trading style of Pinnacle Insurance plc and subsidiary of global banking house, BNP Paribas.